I have to admit that one of the reasons I started hosting my own house concerts is because, as a socially anxious introvert, it’s hard for me to actually attend them in other people’s homes. But of the very few I’ve ventured out to see, one was a particularly memorable Memphis House Concert (RIP) show with Brian Pounds and Grace Pettis. Grace and Brian played in the round, trading songs and stories in the intimate, inimitable way that only happens in a room dedicated to really listening. I was thrilled to have the chance to host Grace’s band Nobody’s Girl earlier this year, and now I can’t wait to wrap up 2018 with some holiday Pounds. If Brian Pounds looks or sounds familiar, it may be because you met him on The Voice a few years back, or perhaps caught him on tour with Blake Shelton or Hayes Carll after that, or maybe you saw him named as a finalist in this year’s Kerrville New Folk songwriting contest. But even if you’re hearing Brian Pounds for the first time, you’ll know immediately that he has something to say. 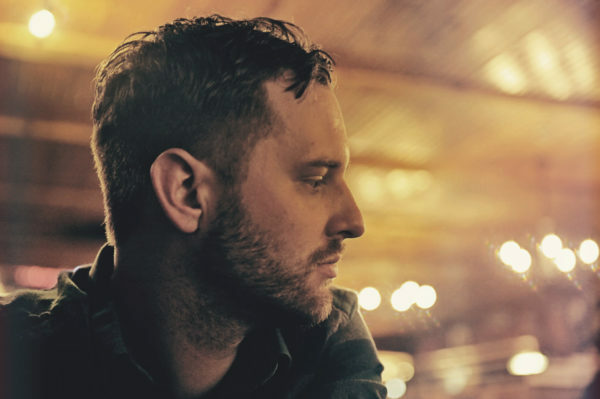 His latest album, “Southern Writer,” evokes the inspirations and influences from a complicated place, all seen through Brian’s own distinct perspective and shared with a voice that can’t help but ring true. This performance will also serve as our Folk All Y’all solstice season family gathering with special song selections and surprises, so make sure to join us for some holiday Pounds. BRIAN SOUNDS GREAT! HOW DO I SEE HIM? The show will be Wednesday, December 19th with doors opening at 7pm and music starting at 7:30. All tickets are $20, general admission, with 100% of sales going to the artist, as always. You can go ahead and get them now. We’ll be at 11 W. Huling in Downtown Memphis. We don’t serve anything harder than LaCroix; BYOB is allowed but you gotta act right.